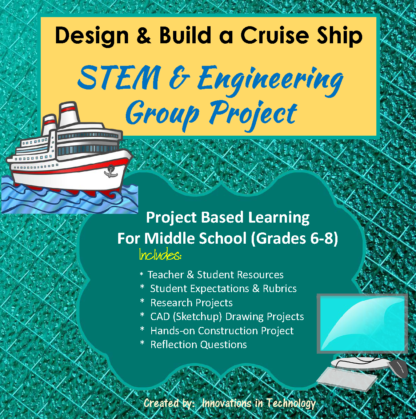 View cart “Design and Build a Cruise Ship – STEM and Engineering Group Project” has been added to your cart. 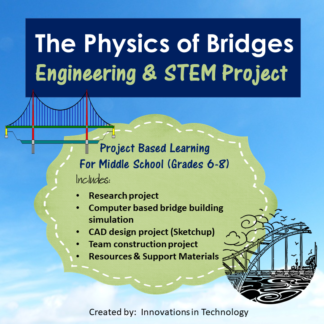 This project lets students learn about the engineering and design of ocean liners and cruise ships as they research and design one with their team. 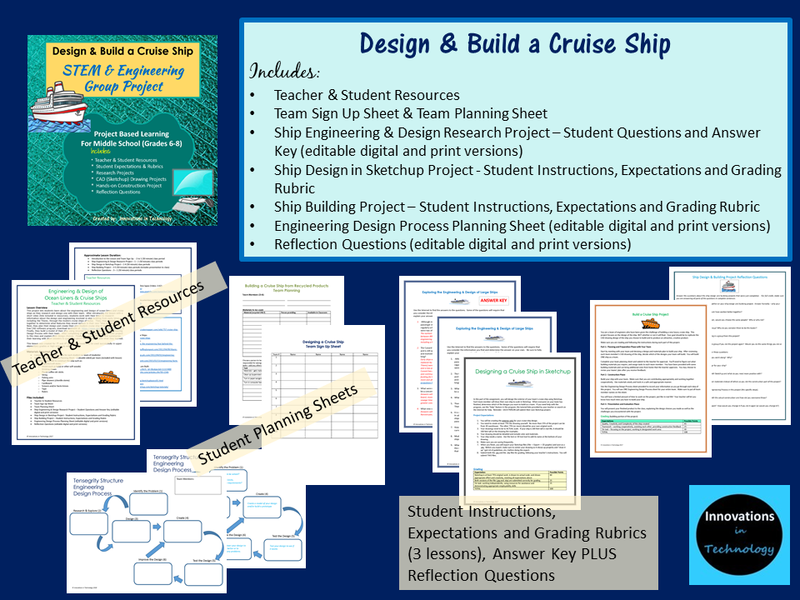 After introducing the lesson with a short video (link included in resources), students work with their team to research information about the design and engineering involved in ship building from early times, including the Titanic, through the modern cruise ships of today. Then, they brainstorm together to determine what features they would include in their own “ship of dreams”. 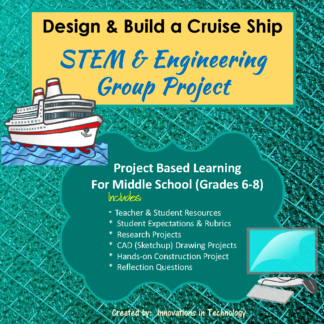 Next, they plan their design and create their own modern cruise ship to scale in Sketchup (a free CAD software program, download available at: https://www.sketchup.com/download ). Finally, they build a model of their ship using recycled materials, following the Engineering Design Process with their team. 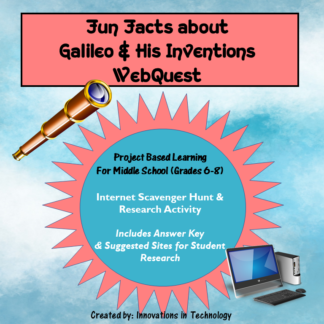 After completing their ship, students present their project to the class and explain their design choices. 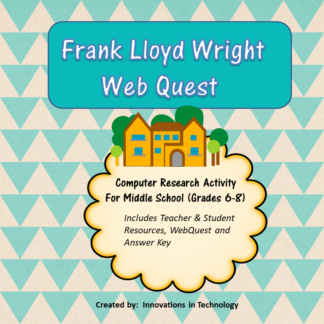 Finally, students reflect on and summarize their learning with short answers to questions about the experience and what they learned. 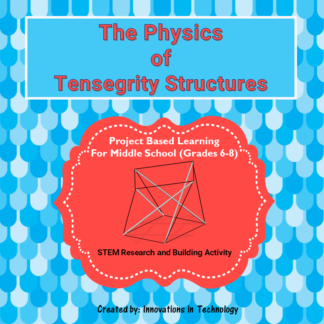 This lesson was created for 7th and 8th grade, but could also be used successfully in upper elementary grades or high school as well.